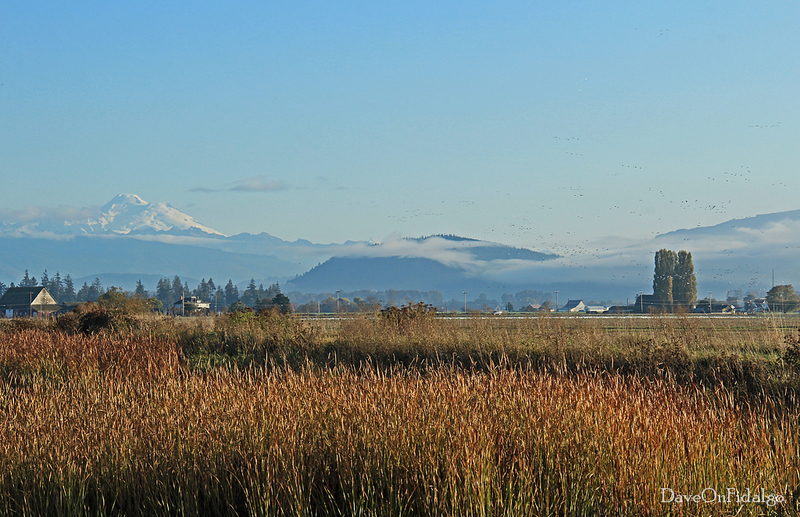 From Fir Island in the Skagit River Delta, Mount Baker presides over fog-shrouded Cascade foothills. Click on the photo to enlarge it and look carefully. 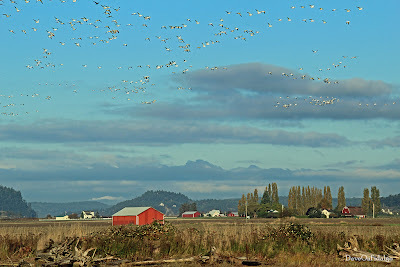 You will spot Snow Geese flying past the Poplars. Every fall, the geese return from the Siberian Arctic to spend the winter. You can set the cosmic clock by their arrivals. Altogether, the flocks are estimated to number between 60,000 and 75,000 birds. While in North America, they divide their time between the Skagit and Fraser River deltas. They are citizens of three countries. These photos were taken from the Fir Island Farms Reserve which is managed by the Washington Department of Fish and Wildlife. 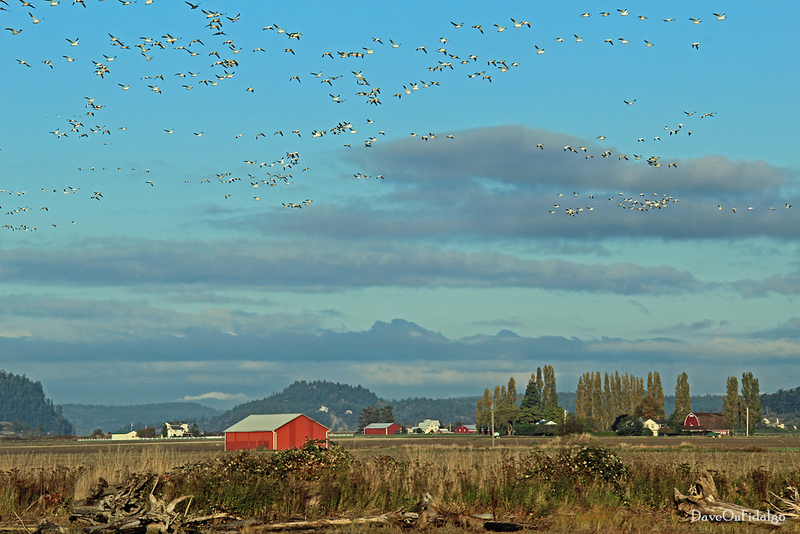 Shortly after arriving, I caught the geese moving from the Skagit Bay shoreline to a field near Fir Island Road. Their movements are accompanied by a symphony of woodwind sounds. Encountering the geese is always a marvelous and memorable wildlife experience. This chilly autumn morning was no exception. If you come to visit the site, be sure you have your Discover Pass. I can only imagine the sight that must be to see so many geese at one time. It would be rather exciting to anticipate their arrival! I love these photos. You've captured the beautiful farm lands as well as the majestic mountains. Beautiful! I'll have to buy that discover pass...it's still a deal!